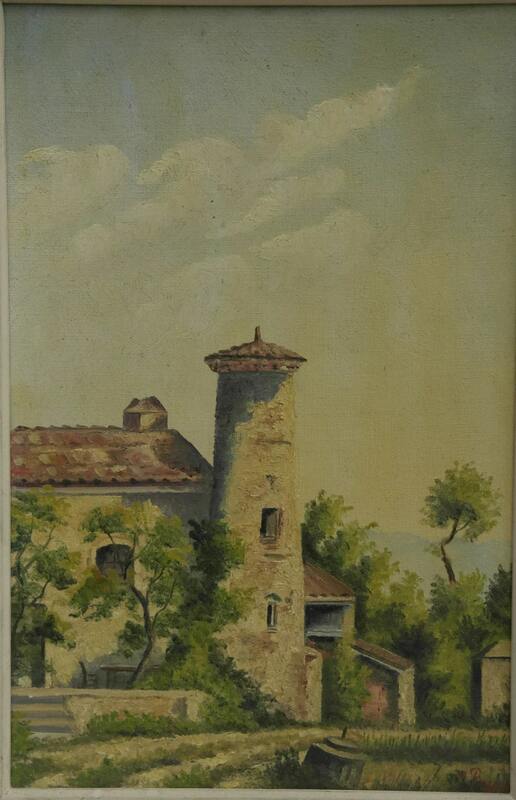 A lovely French village scene painting dating to the 1960s. 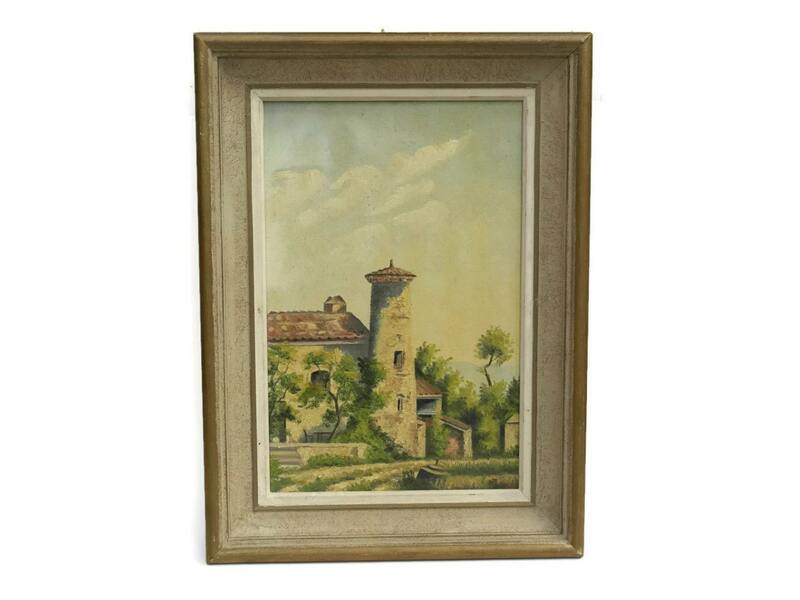 The Provencal country landscape depicts a building in a traditional setting of the South of France. It features a village architecture with a red-tiled roof and hills in the distance. 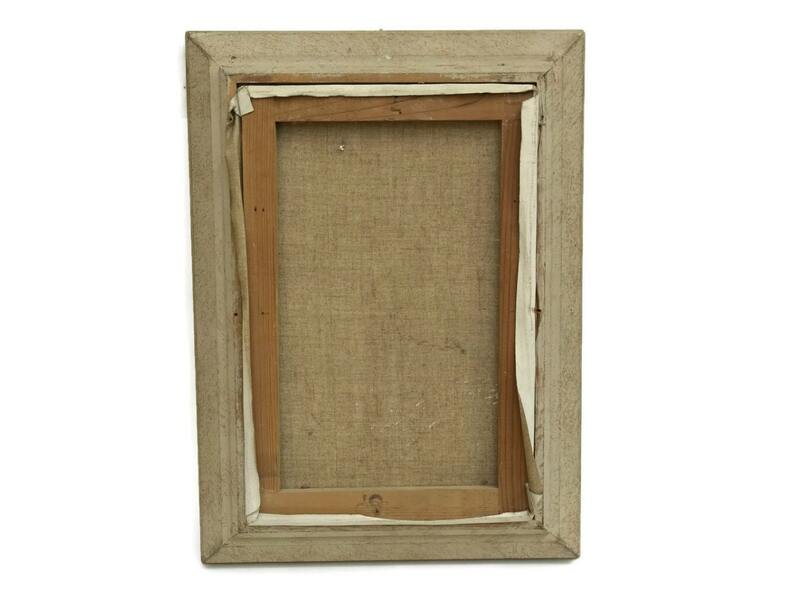 The oil painting has been painted on canvas and stretched across a wooden frame. 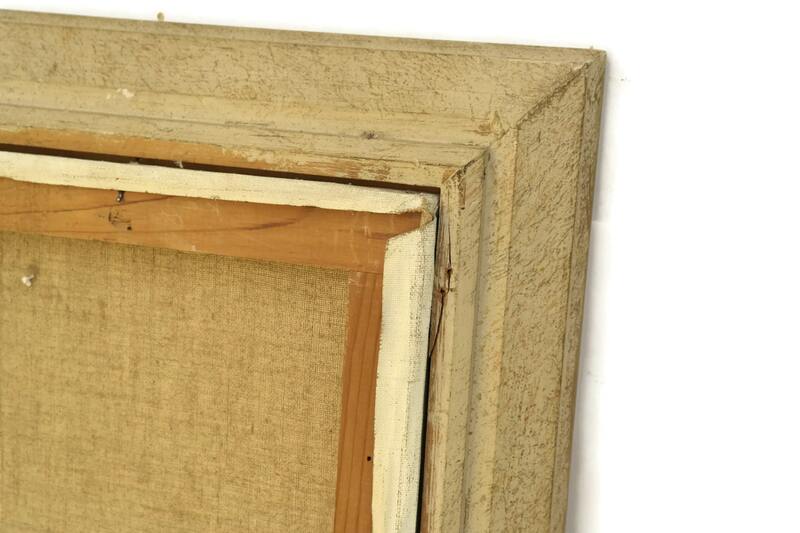 It has been signed by the artist and set within a thick wooden frame. Including the frame 15" wide x 21" high (38 cm x 53 cm). The frame is 2" wide (5 cm). 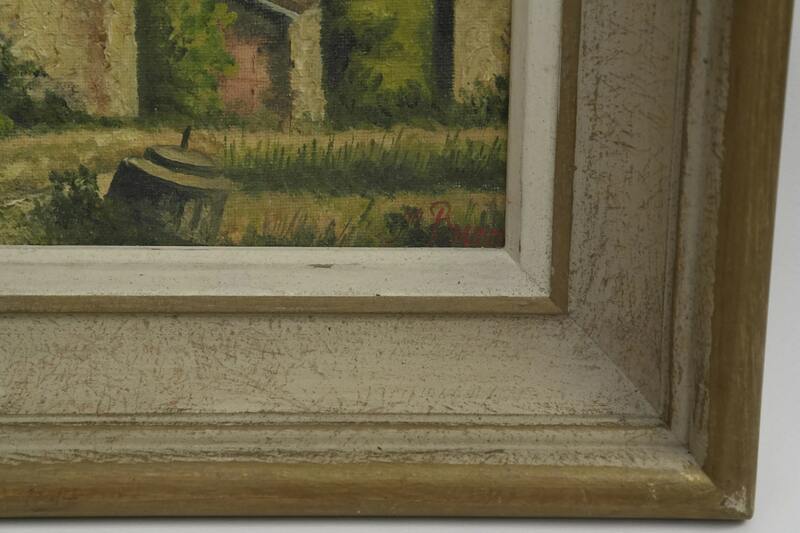 The oil painting is in good condition with some light wear and signs of age. There is wear to the back of the frame. I’m very happy with my picture. It arrived in perfect condition and a week earlier than I expected.